John Schedcik Custom Homes are built on a foundation of professionalism and honesty. We value customers satisfaction as the basis for the future success of our custom home company. For John, building a home is about more than just blueprints and floor plans, it's a family affair. 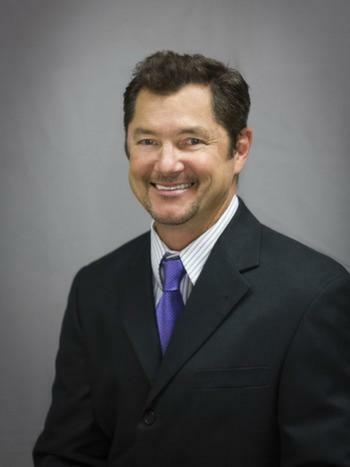 His wife, Brandi, handles all of the business administration for John Schedcik Custom Homes and has been working side by side with John since 1992. Thomas Bryan is our Office Manager. Jackie Hughes and Brady Carter are the job superintendent's who have been in the custom home building business for 48 years combined. But for John, it dates back even further - to his grandfather. "My grandfather worked as a carpenter and a glass maker, so I had big dreams of this since I was a kid". After graduating from high school in Wisconsin, John decided to pursue those dreams at North Texas State University, studying Industrial Technology and Computer Drafting. "It was a perfect fit and grew from there". In 1992, John completed his first home, and what started as projects and homes for friends quickly expanded. Even after 26 years and countless homes, John still aims for each one to be unique and perfectly fitted for the customer. This personal approach has brought him great success as a builder in Wise and surrounding Counties. He is honored to be recognized as "Builder of the Year" in Wise County as well as "Reader's Choice Award's" for best home builder from 2007-2018. John believes that much of the credit for the business success over the years goes to his team of subcontractors. John Schedcik Custom Homes are built on a foundation of professionalism and honesty. So many of our customers that we have built for were referrals. We value customers satisfaction as the basis for the future success of our custom home company. Each person considering a John Schedcik Custom Home is given a list of homes completed and is invited to call any of these homeowners. Our approach is to utilize the very best, experienced sub-contractor teams (several which have been with us for over 20 years) in building our homes which ensures value, efficiency, quality and service. "The quality of the sub-contractor is directly related to the quality of the home." We work together in an atmosphere of mutual respect and maintain long lasting relationships. Although our homes are affordably priced, they incorporate many standard features which are typically added as an extra. We start with a solidly built home of excellent quality concentrating on the latest in today's technology and energy practices. A small start to this list would be: High quality lumber, up-graded high efficient low E, Vinyl, Argon sealed windows, Green "Zip Wall" exterior sheathing, fully encapsulation "Foam Insulation", maximum caulking and sealing throughout and high efficient Diakan 20 Seer Heat and Air systems which include a 12 year warranty. Every home slab is Engineered and includes 5 Sac (High PSI) concrete mix and Post Tension Engineered cables which offers much more in long term slab value and customer confidence. Some believe our industry is flooded with mass-produced homes that are built with little imagination and no regard for quality and individuality. At John Schedcik Homes, we strive to make everyone of our homes distinctive by designing and building with the client's individual needs for livability, function and value in mind. The customer's expectations are high, and we set out to exceed them by listening carefully to our customer's dreams for their home. It isn't enough anymore to be skilled at reading a blueprint. In order to meet the demands of the marketplace, today's builder must have excellent communication skills and be adept at interpreting the customers' intentions and desires. We also assist our customer by providing them with their architectural needs as well as the financing for their new custom home. John is among an elite group of Texas home builders to have attained the Certified Master Builder program which screens and monitors home builders' financial stability, credit record, supplier relationships and warranty performance. Certified Master builders must adhere to rigorous standards of quality and conducts after-sale surveys of clients to measure and ensure customer satisfaction. All master builders must submit impeccable references and attend regular continuing education courses to stay current on new construction methods, materials and technology. 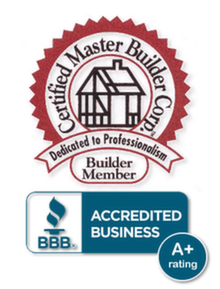 * John Schedcik Custom homes is a proud member of the Certified Master Builders Association, Texas Association of Builders, Fort Worth Builders Association, the Better Business Bureau, also the Decatur, Bridgeport, Bowie, Jacksboro and Muenster Chamber of Commerce's. John credits the success of his business to his wife Brandi. "I have been very blessed in having my wife working with me side by side." Brandi directly handles and oversees the administrative side of our custom home business and still manages to keep our family time balanced with our two wonderful daughters. Why insist on a Certified Master Builder™ Member? The Certified Master Builder program encourages and promotes professionalism within the home building industry. Members must be professional full-time builders who meet strict qualifications. Certified Master Builder applicants appear before the membership committee for a personal interview. They must submit the names of satisfied homeowners, suppliers, vendors and subcontractors to gain membership in the Certified Master Builder program. In addition, Builders must have two peer sponsors within the CMB program who can supply information about the member's business integrity and construction activity. All Certified Master Builders must maintain an acceptable Financial Certification. Required continuing education assures that they keep up to date with the latest techniques in home building. John Schedcik Homes builds Custom Homes for the residents of Wise, Denton, Parker, Cooke, Montague and Jack Counties including popular communities like Decatur, Bowie, Chico, Paradise, Boyd, Rhome, Bridgeport, Runaway Bay, Muenster, Saint Jo, Valley View, Sanger, Denton, Jacksboro, Springtown, Azle, Justin, Ponder and Krum.